Case Ingersoll 220 222 224 444 PTO Clutch 14 hp Kohler. Case Ingersoll 220 222 224 444 PTO Clutch 14 hp Kohler. Case or Ingersol Manual PTO Clutch assembly will fit other units. This came off of a Kohler 14hp cast iron engine. Will work for other applications of single cylinder cast iron engines. GX340 11HP. GX390 13HP. NEW CRANK CASE OIL SEAL! MSRP OF 36.99. 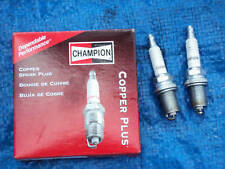 CHAMPION PLUGS ARE LEGENDARY FOR THE THEIR PERFORMANCE AND LONGEVITY. DO YOU LOVE A DEAL?. THEN JUMP ON IT! You may receive your plugs loose and not in a box as shown. Obviously, verify that your deck is an RM38, RM44, or RM48. Kit is new, and never installed. This kit replaces the old kit C33142. REMOVED FROM A CASE 444 WITH A KOHLER K321 14HP ENGINE. MODEL # 444. WE HAVE THE STARTER IN GOOD WORKING CONDITION. 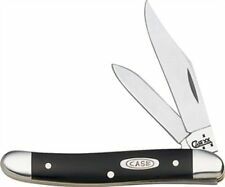 CASE PRODUCT # 9784809. -local pick up available. This ignition is new, its OEM and part number is 103815. THE PIN AS WELL AS ALL OF THE HARDWARE IS MADE FROM RUST PROOF 316 STAINLESS STEEL. 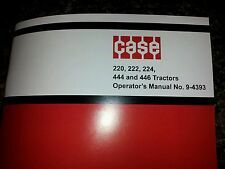 You are bidding on a Front Axle for a Case Model 446 Garden Tractor. It may fit other models but please be sure before bidding. The parts are in good condition without any chips, cracks or bends. Winning bidder to pay actual shipping cost. I will combine shipping on multiple items won. Winner to pay for item/contact me within three days of auction end or bid may be voided. Happy Bidding!! You are bidding on a Oil Cooler for a Case Model 446 Garden Tractor. It may fit other models but please be sure before bidding. The parts are in good condition without any chips, cracks or bends. Winning bidder to pay flat shipping cost. I will combine shipping on multiple items won. Winner to pay for item/contact me within three days of auction end or bid may be voided. Happy Bidding!! 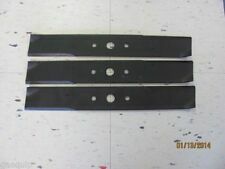 LOT OF 3 (1 set) of blades for CASE/INGERSOLL lawn mowers. 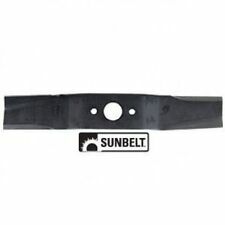 They are high quality and hand sharpened (not pressed) and is the sharpest blade on the market. Cut Direction: Left. Outside holes center to center: 2-5/8". You are bidding on a Differential & Gear Set for a Case Model 220 Garden Tractor. It may fit other models but please be sure before bidding. The parts are in good condition without any chips, cracks or bends. Winning bidder to pay actual shipping cost. I will combine shipping on multiple items won. Winner to pay for item/contact me within three days of auction end or bid may be voided. Happy Bidding!! You are bidding on a Hydraulic Motor for a Case Model 220 Garden Tractor. It may fit other models but please be sure before bidding. The parts are in good condition without any chips, cracks or bends. This is a TRW Ross Gear Division 180 1C Spec MAB16001. Winning bidder to pay actual shipping cost. I will combine shipping on multiple items won. Winner to pay for item/contact me within three days of auction end or bid may be voided. Happy Bidding!! case ingersoll 444 Garden tractor 14hp Kohler lawn BALL HITCH VERY GOOD COND! Case ingersoll 444 Garden tractor 14hp Kohler lawn mower. This tractor has been kept very clean. Nice original paint and decals. Tires all good. One fender dented original vinyl seat is cracking but not bad. 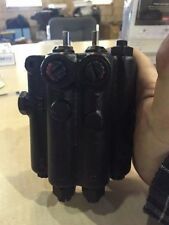 You are bidding on a Set of Stering Spindles for a Case Model 446 Garden Tractor. It may fit other models but please be sure before bidding. The parts are in good condition without any chips, cracks or bends. Winning bidder to pay flat shipping cost. I will combine shipping on multiple items won. Winner to pay for item/contact me within three days of auction end or bid may be voided. Happy Bidding!! You are bidding on a Gas Tank for a Case Model 220 Garden Tractor. It may fit other models but please be sure before bidding. The parts are in good condition except that there is light rust inside. Winning bidder to pay actual shipping cost. I will combine shipping on multiple items won. Winner to pay for item/contact me within three days of auction end or bid may be voided. Happy Bidding!! This Part is from a 1976 Case 220 Garden Tractor # 9721615. Has a 10 Kohler K241A engine,Spec # 46736d,Serial # 7364866. In used condition. Pulleys spin good. But are rusty inside belt channel. The adjuster rod is broke off. Easy fix. Check out all My pictures. PARTS REMOVED FROM TRACTOR SHOWN IN LAST PHOTO (COMPLETE MOWER NOT FOR SALE). Bin # 1455. LOCAL PICKUP AT OUR LOCATION (Ashland,Ohio) Permitted. You are bidding on a Differential and Gears for a Case Model 224 garden tractor. It may fit other models but please be sure before bidding. The parts are in good condition without any chips, cracks or bends. Winning bidder to pay actual shipping cost. I will combine shipping on multiple items won. Winner to pay for item/contact me within three days of auction end or bid may be voided. Happy Bidding!! You are bidding on a Set of Front Spindles for a Case Model 224 garden tractor. It may fit other models but please be sure before bidding. The parts are in good condition without any chips, cracks or bends. Winning bidder to pay flat shipping cost. I will combine shipping on multiple items won. Winner to pay for item/contact me within three days of auction end or bid may be voided. Happy Bidding!! John Deere 316 w/Onan 330 318 Tractor Hydraulic Line - Power Steering Outlet USD 9.99. 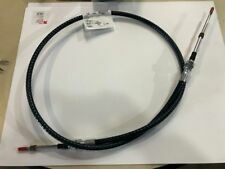 John Deere 322 332 420 430 318 Tractor Hydraulic Quick Connects USD 24.99. John Deere 316 w/Onan 330 318 Tractor Dash Console USD 19.99. CASE: C12262. CASE: C24442. 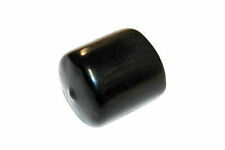 Replaces OEM The only way to insure that you are ordering the correct part is to match this number to your application. If you need help, send us the complete make, model number, and serial number. Based on the part #, this will fit the following models: 446, 448. No exceptions. John Deere 316 w/Onan 330 318 Tractor Dash Console USD 19.99. MTD Yard Machines 20hp/50" Tractor Hood USD 44.99. John Deere 316 w/Onan 322 330 332 318 Tractor Hood USD 224.99. We can get you parts for your astec and case maxi sneakers (We can not get discontinued parts). This seat is new and its OEM. REMOVED FROM A CASE 444 WITH A KOHLER K321 14HP ENGINE. MODEL # 444. WE HAVE THE REAR RIM WHEEL IN GOOD WORKING CONDITION. Case: C12102, C44640. Female Thread: 1/2" -20 RH. Male Thread: 1/2" -20 RH. California Prop 65 - This product can expose you to certain chemicals, which are known to the State of California to cause cancer or birth defects or other reproductive harm. 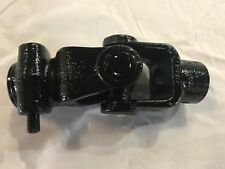 Used Case 446 Garden Tractor, 3 Point Hitch Assembly, Center Link/3 Point Lift Cylinder Is included (As Pictured), Removed in working order, Cleaned, Ready To Use. Check out all My pictures. PARTS REMOVED FROM TRACTOR SHOWN IN LAST PHOTO (COMPLETE MOWER NOT FOR SALE). The parts are in good condition except that one retaining clip is not included. Part # C14459. Case Bracket. REMOVED FROM A CASE 444 WITH A KOHLER K321 14HP ENGINE. MODEL # 444. WE HAVE THE HYDRAULIC LIFT CYLINDER IN GOOD WORKING CONDITION. -local pick up available. Check out all My pictures. PARTS REMOVED FROM TRACTOR SHOWN IN LAST PHOTO (COMPLETE MOWER NOT FOR SALE). Bin # 1516. LOCAL PICKUP AT OUR LOCATION (Ashland,Ohio) Permitted. Not knowing the part you needed. Good Solid - Blades don't turn. J & D Lawn Tractor. Check out all My pictures. PARTS REMOVED FROM TRACTOR SHOWN IN LAST PHOTO (COMPLETE MOWER NOT FOR SALE). Bin # 1481. LOCAL PICKUP AT OUR LOCATION (Ashland,Ohio) Permitted. Not knowing the part you needed. Based on the part #, this will fit the following models: 130. John Deere 316 w/Onan 330 318 Tractor Dash Console USD 19.99. No exceptions. MTD Yard Machines 20hp/50" Tractor Hood USD 44.99. John Deere 316 w/Onan 322 330 332 318 Tractor Hood USD 224.99.